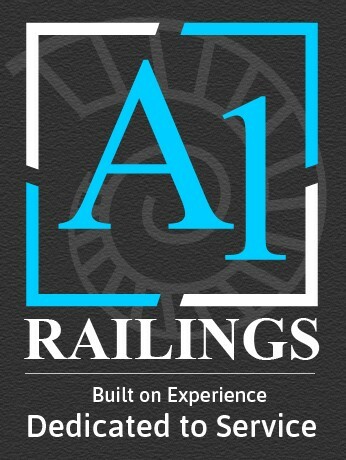 A-1 Railings Ltd specializes in the design, manufacturing, and installation of quality interior railings, exterior railings, custom railings, gates and fences for home builders and residential customers in the Greater Toronto Area. With over 100 + years combined experience, A 1 Railings is a leader in the railings manufacturing industry; we understand that each customer or home builder project is more than just a project. Our goal is to ensure that each customer and home builder is beyond satisfied. We make it our business to guarantee that you’re not just happy with the final product but that the entire process is enjoyable and to your expectations. We approach each project with the desire to manufacture railings that are unique to our customers. On a daily basis, we work with architects, contractors, home builders and homeowners in Greater Toronto Area. We take great pride in designing, manufacturing, and installation of the latest in railings technology in friendly, family-oriented communities that our customers are proud off and allowing them to express who they are and how they live.